This Adjustable Circle Cutter produces precision circles in sheet metal, brass, wood, plastic, aluminum and soft steel. The circle diameter is adjustable up to 8". 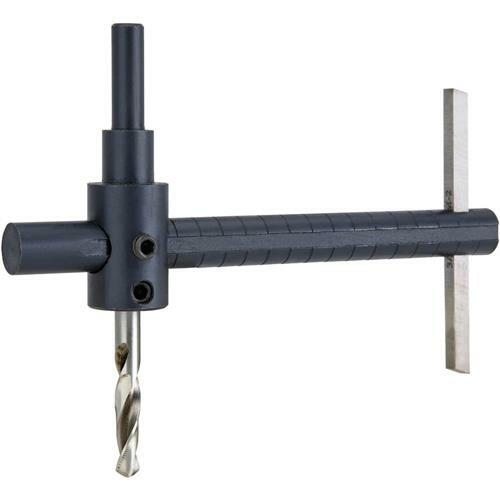 Includes HSS center drill bit and double ended tool bit. Always use the appropriate cutting speed for the circle diameter to prolong tool life. I do clock repair, so I needed something that would create uniform circles. This works great for my needs.